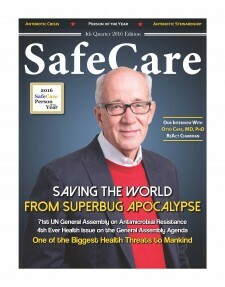 Lexington, KY, October 31, 2016	(Newswire.com) - ​​​SafeCare® Magazine announced today that Otto Cars, MD, PhD was awarded SafeCare Person of the Year for 2016. This award recognizes the one individual who contributed significantly towards improving patient safety and healthcare quality across the globe. Eighty-nine nominees from 28 countries were considered. The 10 finalists included Mr. Hector Slim Seade, Director General, Telmex; Lord James O‘Neill, British Treasury Minister; Dr. Tawfik Khoja, Executive Director, Health Ministers Council Gulf Cooperation States; Dr. Didier Pittet, Director of Infection Control Program, Geneva University Hospitals, Dr. Victor Dzau, President, Institute of Medicine of the National Academy of Sciences; Former Astronaut Dr. James Bagian, Director, University of Michigan Center for Healthcare Engineering; Dr. Mark Chassin, President, The Joint Commission, Dr. Hardeep Singh, Chief, Houston VA Health Policy, Quality and Informatics Program; Dr. Philip Stahel, Editor-in-Chief, Patient Safety in Surgery. The publication offers a unique voice by featuring individuals and articles that advance patient safety and inspire healthcare leaders to excel in providing safe care of the highest quality and value. 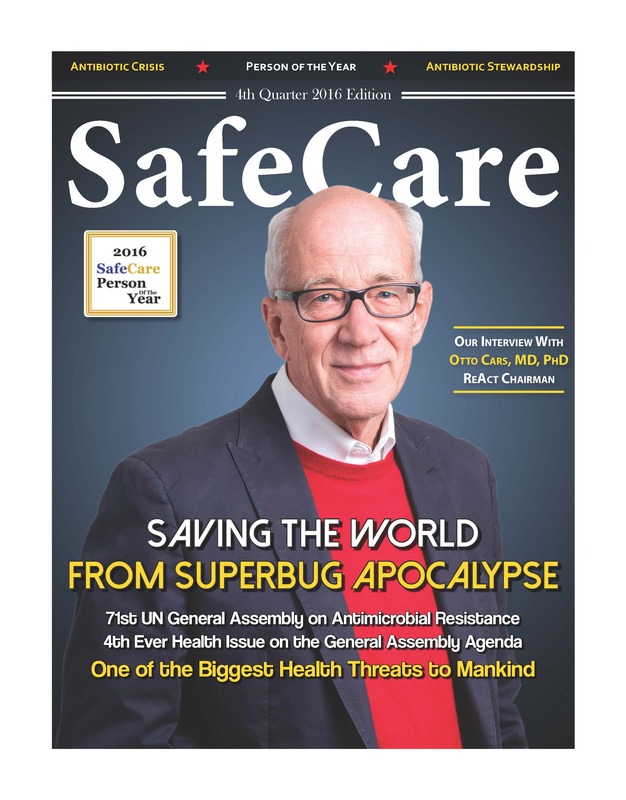 SafeCare® Magazine, SafeCare Analytics®, and 100 SafeCare Hospitals® comprise The SafeCare Group®. Since 2012, SafeCare Analytics® have been helping hospitals excel with Joint Commission OPPE, readmissions, cost, complications and infections. Since 2013, 100 SafeCare Hospitals® listings recognize US hospitals that excelled in evidence-based areas that are required under section 3025 of the Affordable Care Act. For more information about The SafeCare Group, visit www.safecaregroup.com.